Do You Think Matthew Knowles Listens to Lemonade? 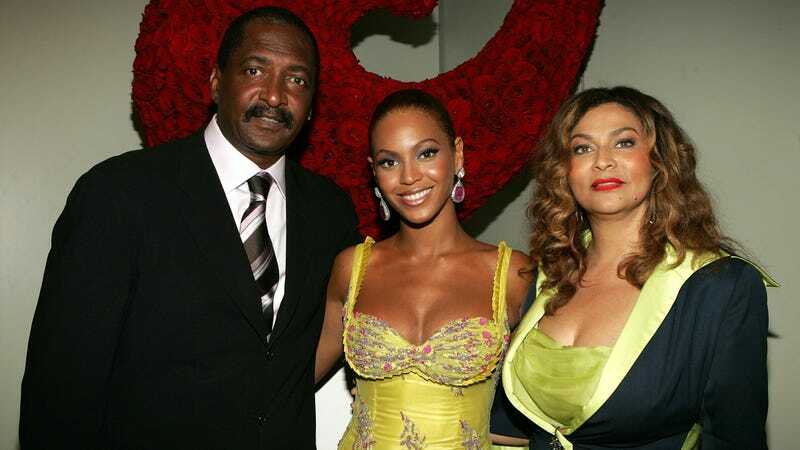 Following the Seattle showing of On The Run II, her joint tour with husband Jay-Z, Beyonce’s father, Matthew Knowles, surprised his eldest daughter with an unplanned visit. Bey uploaded pictures of the blessed reunion to Instagram. He gifted her with a dozen red roses to commemorate the end of the successful tour. In a video interview, Matthew stated that the photos were Bey’s idea. There had been another mini-reunion in the family’s home state of Houston, but no photographic evidence yet exists. Matthew and Miss Tina have both remarried since their divorce in 2011. In the captured footage, available at TMZ, Matthew states that it’s important to all members of the Knowles family to remain on speaking terms and cordial. I’ve always personally wondered how or if Lemonade impacted the family’s dynamic in any way. If it did, they seem recovered now, thankfully. After announcing a break from social media in late September, Selena Gomez has been hospitalized for emotional distress. This marks her second hospitalization within two weeks. Gomez, who received a kidney transplant last year, was initially hospitalized for a low t-cell count. Growing concerns over her physical health triggered an emotional spiral. She was also subjected to online harassment following her ex-boyfriend Justin Bieber’s engagement to Hailey Baldwin. Gomez is receiving treatment at a facility which specializes in mental health treatments. Wishing her a swift recovery.